We firmly believe that a well educated STEM work force is necessary to ensure the continued safety, security and leadership of the United States. To that end we support and applaud the efforts of EngineerSpace.org, the University of Maine, and others to expand opportunities for the leaders of tomorrow. 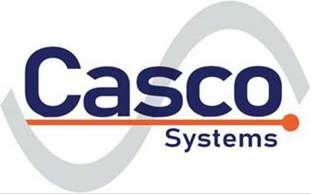 Casco Systems has supported the efforts of EngineerSpace.org for several years with a monetary contribution. Through partnerships with Engineering Firms and Organizations around the country, EngineerSpace.org has compiled an extensive online resource that connects local professionals with local students, parents and teachers to enhance engineering education in the community. Their Explore Engineering Tour is the largest and most complete online resource on the Internet, designed to teach middle and high school students about engineering. 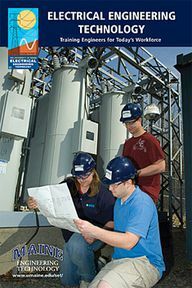 The site also provides easy access and information about local and regional engineering and STEM activities and opportunities. Casco Systems congratulates Mr. Ryan Labossiere, recipient of the first annual Casco Systems - Power Protection & Automation Scholarship. Ryan is a promising electrical engineering technology student who will be managing the UMO automation lab during his senior year. He was awarded the scholarship on April 10, 2015 at the “Spring Industrial Advisory Committee Meeting & Awards Reception”. Casco Staff participate on the departments "Industrial Advisory Board" and fully support the expansion and enrichment of this program.